Next Post > New Capretta Superwash! Autumn is my absolute favorite season and it’s so close I can almost hear the leaves crinkling underfoot! Without fail this is the time of year that my needles start to work a little harder, preparing for the chilly months ahead. If you’re like me, then this is the perfect time for our monthly yarn sale to feature Alpaca Cloud! The warmth and airy softness of alpaca fibers makes them one of the best for light, cozy fall accessories. Holding the yarn double will also let you make heavier-duty accessories that can even tame the chill of winter. At only $5.38/50g hank, this month’s yarn sale will help you wrap yourself in warmth and the super-soft plushness of baby alpaca fibers! Here are a few of my favorite Alpaca Cloud patterns to help inspire your next projects! Just imagine this piece around your shoulders on a frosty November morning. Opal Dawl is all about the stunning lace. Its wide, rectangular body is large enough to really wrap yourself up in, but the lace also allows the garment to breathe. It has optional buttons that allow you to wear it in a variety of ways. Versatile, stylish, and super warm – what more could you ask for? Classy and understated, the Bailiff Scarf will get you through the coming months in style. 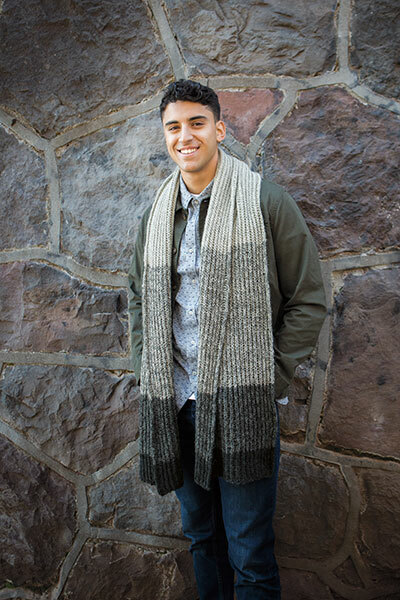 This scarf is crafted with a basic Fisherman’s Rib, held double, bringing a cushy softness to the piece. Its classic design will look great on men or women, which makes it the perfect gift for anyone at all who likes to stay warm when it’s cold out! Don’t you just love rainbows, because I sure do! The Carmen Shawl takes advantage of the wide range of dazzling colors in the Alpaca Cloud line to wrap you in prismatic brilliance. 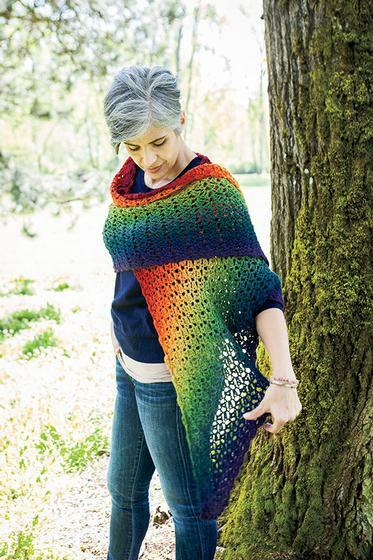 This pattern includes instructions for using lace-weight yarn to create a color gradient and a photo tutorial on chain-plying. I think this is a great pattern for a novice crocheter looking to learn something new while also making a one-of-a-kind wardrobe piece. Definitely head over to our sale page and check out the options available for Alpaca Cloud so you can start something amazing today!